Clinical use of oesophageal manometry began way back in 1940s with rudimentary water-filled balloons and since it has evolved into a more complex array of catheters, transducers, data recorders/computers, and analysis software. Oesophageal manometry is generally undertaken after more routine investigations for oesophageal structural disease (ie. endoscopy and/or contrast radiology). The procedure is reserved for situations where there is diagnostic doubt or where the identification of an oesophageal dysmotility disorder will alter clinical management. (24, 25, 26). Repeat manometry is not recommended as a routine part of the assessment of patient response to pharmacological treatment of non-specific dysmotility. Both conventional and HRM systems are available, with the main distinctions between the two being the number of pressure sensors, ease of performing and cost , and graphical representation and analysis. Conventional manometry uses catheters with 4 to 8 pressure sensors.HRM catheters have multiple sensors ( micro transducers composed of either metal diaphragm strain gauges or piezoresistive silicon chips ) up to 36 distributed longitudinally and radially separated by short distance as small as one to two millimetres (3,4).. Catheters are available in a variety of configurations, with diameters ranging from 2.7 to 4.7 mm and the number of sensors ranging from 4 to 36 for different age groups and make. The techniques for data acquisition are similar, but HRM allows more versatility in data analysis (36). As such, HRM systems have been readily adopted and are now the predominant system. Optimal recording of either pharyngeal or oesophageal motility requires an array of multiple recording points that span the whole region of interest in order to provide an integrated picture of motor function A sleeve sensor which has been designed can overcome difficulties with spinteric movement can effectively records both basal pressure and relaxation of upper and lower oesophagus Continuous recording of LES with HRM devices have advantage over traditional pull through technique, by providing continuous pressure readings which vary from minute to minute and they are more comfortable. Equipment should be checked and calibrated before commencing each study. Patients should fast for a minimum of four hours for solids and two hours for liquids prior to the procedure. A longer period of fasting may be appropriate for patients with evidence of fluid or food residues at endoscopy/radiology (eg. in achalasia) (5-12). Medications known to affect oesophageal motor function should be avoided for 24 hours prior to the test where clinically appropriate (eg. Beta blockers, nitrates, calcium channel blockers, anticholinergic drugs, prokinetics, nicotine, caffeine, opiates) (5, 45). Any concurrent medication or local anaesthetic use should be documented. A brief history and review of the patient’s case records should alert the technician to any contra-indications to performing oesophageal studies or to the existence of conditions that may hinder the performance or interpretation of the test (eg. large hiatus hernias, previous oesophageal surgery)(45). At the beginning of the manometric assessment, one or more (preferably three) of the most distal recording sites should be in the stomach. This can be verified by asking the patient to take a deep breath. Intra-abdominal pressure readings go up with inspiration and down on expiration. Oesophageal manometry and pH monitoring should not be performed in cases of suspected or confirmed pharyngeal or upper oesophageal obstruction, in patients with severe coagulopathy (but not anticoagulation within the therapeutic range), bullous disorders of the oesophageal mucosa, and cardiac conditions in which vagal stimulation is poorly tolerated, or in individuals who are not able to comply with simple instructions. Presentation of pressure data as colour contour plots or oesophageal pressure topography using HRM led to the development of new tools for analyzing and classifying oesophageal motor patterns. The current standard and still developing approach to do this is the Chicago classification. Two strengths of HRM with pressure topography plots compared with conventional manometric recordings are (1) accurately delineating and tracking the movement of functionally defined contractile elements of the oesophagus and its sphincters, and (2) easily distinguishing between luminal pressurization attributable to spastic contractions and that resultant from a trapped bolus in a dysfunctional oesophagus. HRM may be easier to perform and interpret than conventional manometry. The mean procedure time is decreased with HRM compared with conventional manometry ( 11) because of easier catheter positioning and no need for LES pull-through.. HRM has revealed previously unidentified patterns of normal and abnormal oesophageal motor function. A meaningful summary should be provided from a manometry studies .There should be a manual review of any automated reports with the aim of providing a clinically interpretable result. 1.Meltzer SJ. On the causes of the orderly progress of the peristaltic movements in the esopahgus. Am J Physiol 1899; 2: 266-272. 3. Pandolfino JE, Ghosh SK, Zhang Q, Jarosz A, Shah N, Kahrilas PJ. Quantifying EGJ morphology and relaxation with high-resolution manometry: a study of 75 asymptomatic volunteers. Am J Physiol Gastrointest Liver Physiol. 2006;290(5):G1033-40. 4 .Ghosh SK, Pandolfino JE, Zhang Q, Jarosz A, Shah N, Kahrilas PJ. Quantifying esophageal peristalsis with high-resolution manometry: a study of 75 asymptomatic volunteers. Am J Physiol Gastrointest Liver Physiol. 2006 May;290(5):G988-97. 5 .Murray JA, Clouse RE, Conklin JL. Components of the standard oesophageal manometry. Neurogastroenterol.Motil. 2003;15:591-606. 6. Castell DO, Dieterich L, Castell JA. Esophageal Motility Testing. Denver Colarado: Sandhill Scientific, 2002. 7. Evans DF, Buckton GK, British Society of Gastroenterology CMA. 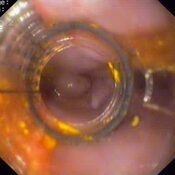 Clinical Measurement in Gastroenterology: The Oesophagus. Oxford: Blackwell Science Ltd, 1999. 8. Gideon RM. Manometry: technical issues. Gastrointest.Endosc.Clin.N.Am. 2005;15:243-55. 9. Henderson RD. Esophageal manometry in clinical investigation. New York: Praeger, 1983. 10. Kahrilas PJ, Clouse RE, Hogan WJ. American Gastroenterological Association technical review on the clinical use of esophageal manometry. Gastroenterology 1994;107:1865-84. 11. Passaretti S, Zaninotto G, Di Martino N, Leo P, Costantini M, Baldi F. Standards for oesophageal manometry. A position statement from the Gruppo Italiano di Studio Motilita Apparato Digerente (GISMAD). Dig.Liver Dis. 2000;32:46-55. 12.SGNA Position Statement: Performance of gastrointestinal manometry studies and provocative testing. Gastroenterol.Nurs. 2003;26:264-5. 14 Sifrim D, Janssens J, Vantrappen G. A wave of inhibition precedes primary peristaltic contractions in the human esophagus.Gastroenterology 1992;103:876-82. 15 Weihrauch TR. Esophageal manometry : methods and clinical practice. Baltimore: Urban & Schwarzenberg, 1981. 16. Adhami T, Shay SS. Esophageal motility in the assessment of esophageal function. Semin.Thorac.Cardiovasc.Surg. 2001;13:234-40. 17. Adler DG, Romero Y. Primary esophageal motility disorders. Mayo Clin.Proc. 2001;76:195-200. 18.Beckingham IJ, Cariem AK, Bornman PC, Callanan MD, Louw JA. Oesophageal dysmotility is not associated with poor outcome afte laparoscopic Nissen fundoplication. Br.J.Surg. 1998;85:1290-3. VOL42. First, Clinical & epidemiological profile of Pediatric Gastroenterology & HepatoBiliary sciences in Central India. Center: Dept of Pediatric Gastroenterology & Hepatology, Care Hospital, Nagpur. Included: all diagnosed and completely worked up cases. Excluded: partly worked cases / lost to follow up /documents papers not available. Only part of data is included in this e-journal for publication. In cause of abdominal pain in children is antral gastritis predominates over duodenitis. Defecation dyssynergia is the most common cause of constipation. About 27 % of suspected duodenal malabsorption syndromes are celiac in etio-pathogenesis. 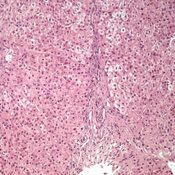 Wilson disease is one of the most common causes of treatable of metabolic liver disease. 64 % of metabolic liver disease present in neonatal age group as neonatal hepatitis. Approx 10%ofpaucity of bile ducts/ neonatal sclerosing cholangitis have presentation as biliary atresia which have no role of kasai portoenterostomy. 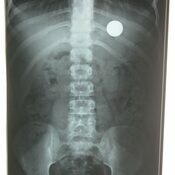 Coin is the most commonly ingested foreign body. Upper 1/3 rd of esophagus is the most common site of impaction. All foreign bodies in esophagus, discs,magnets, sharps, > 2.5cm,>6 cm in length needs to be removed. 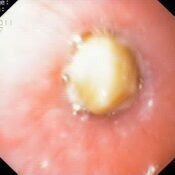 Post TOF surgeries > corrosive ingestion are the most common causes of esophageal stricture. 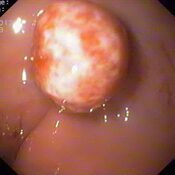 EHPVO (portal cavernoma) is the most common cause of upper gi bleed in children. Metabolic liver disease is the most common cause of chronic liver disease in children. 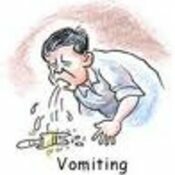 Idiopathic followed by Hepatitis A are most common cause of acute liver failure. Neonatal haemochromatosis /Tyrosinemia: most common cause of neonatal acute liver failure. Infective and allergic entero-colitis: most common colon issues in children. Crohn’s colitis is more common in children. Treatment and monitoring of Ped IBD is different. 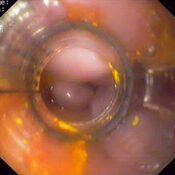 Cholelithiasis followed by choledochal cyst is most common issue in biliary system disorders. Chronic pancreatitis is more common than acute pancreatitis in children. Peritoneal and mesenteric abdominal LN is most common presentation of abdominal T.B. Food faddism can be a presenting symptom for Eosinophilic esophagitis. Refractory fe deficiency anemia with FTT is one of common ppt of Celiac disease. For complete data email: pedgihep@yahoo.com.Permission of author is necessary before publishing or using data for scientific purposes. VOL 40, 2013 PEDGIHEP, E-JOURNAL: PANCREATIC ENZYMES: WHEN? WHY? WHAT DOSE? Because of the invasive nature, direct pancreatic function test is reserved for research purposes and in clinical practice, non-invasive testing is preferred. Discussion on various direct pancreatic function tests is outside the spectrum of this article which deals with options available and options that can be used in the current scenario at commercial level and are beneficial to patients suffering from pancreatic exocrine insufficiency. Many non-invasive pancreatic function tests are available, but the perfect test does not exist. The test which has high sensitivity and good specificity to detect early pancreatic insufficiency is not available. Qualitative measurement of a single stool specimen is useless because fat content varies with the dietary fat intake. Quantitative measurement of stool fat is cumbersome and only possible in few institutes. The 13C-MTG breathtesthasasensitivityof89%andspecificity of81% but again is available only in institutes with research settings. 1. Clinical: chronic pancreatitis evident with complications. 4.S-MRCP: magnetic resonance pancreatography after intravenous secretin infusion (s-MRP) allows for a quantitative measurement of pancreatic secretion volume with a major advantage of of providing information about both ductal changes and function.3Further studies are needed. 7. Trial: Empirical clinical response to PERT is also one of the ways to understand and detect chronic pancreatic insufficiency. Clinically evident EPI with steatorrhoea occurs only when 90% of the pancreatic function is lost. Advanced maldigestion secondary to CP is associated with deficiencies of fat-soluble vitamins (vitamins A,D,E,andK),magnesium,calcium,zinc, and folicacid. Early detection and effective treatment of EPI is important to prevent morbidity and mortality. Every patient with EPI and maldigestion, independent of the degree of steatorrhoea and presence or absence of associated symptoms, should receive PERT. The main focus in the management o f EPI is to prevent weightloss,EPIrelatedsymptoms,vitamindeficiencies, and to improve the nutritional status. The most important clinical parameter to monitor treatment efficacy is body weight. Dose of pancreatic enzymes contains 1,000 to 2,500 U lipase/kg/meal. Adequacy of treatment is typically determined on clinical grounds. For infants the capsule may be opened and spread over acidic food like rice or cereal. For adolescence patients each meal may require 10,000 to 20, 000 lipase unit and up to 10, 000 lipase unit for each snack. Maximum dose suggested is 10,000 lp / kg/ day.Adult dose: 25,000 to 75,000 lipase unit / meal. A last resort may be the restriction of fat. This should be imposed under supervision of a dietician. FOR complete article and references : email : pedgihep@yahoo.com. vol37, NAC in NON- PCM LIVER FAILURE: NEW PROPOSED CRITERIA. Indian multicentric data of IAP-PED GASTRO/LIVER group on acute liver failure is eagerly awaited. Meta-analysis, text book references, adverse reactions of NAC, effect of NAC on normal subjects, Pharmacokinetics of NAC are discussed in details. May I propose selective use of NAC in predetermined population in children for study purpose till further reports are available or published? Selective group included for using NAC are based on recently conducted trials. Pharmacokinetics: NAC is deacetylated by the liver and intra-cellularly in most tissues to cysteine. Most of an acetylcysteine dose is expected to be metabolized and incorporated as cysteine into cellular pools. The mean terminal t1/2 is 5.6 hours; clearance is 0.11 L/hr/kg. Renal clearance accounts for roughly 30% of total clearance. In patients with severe liver damage, the mean t1/2 increases by 80% while the mean clearance decreases by 30% compared to a control group. The clearance of acetylcysteine was significantly reduced in patients with chronic liver disease compared with controls (Aliment Pharmacol Ther. 1997 Aug;11(4):787-91). Specific guidelines for dosage adjustments in hepatic impairment are not available; it is not known if dosage adjustments are needed. Although there was a 3-fold increase in acetylcysteine plasma concentrations in patients with hepatic cirrhosis, the published medical literature does not indicate that the dose of acetylcysteine in patients with hepatic impairment should be reduced. Specific guidelines for dosage adjustments in renal impairment are not available; it is not known if dosage adjustments are needed. The mean elimination half-life of acetylcysteine is longer in newborns (11 hours) than in adults (5.6 hours). N-acetylcysteine induced significant decreases in plasma levels of vitamin K dependent haemostatic proteins in vivo, being maximal at one hour following the start of infusion, with maximal decreases from 1.00 to 0.73 (0.67-0.79) (mean (95% confidence interval)), 0.66 (0.58-0.73), 0.81 (0.73-0.90), 0.64 (0.57-0.70), 0.74 (0.65-0.82), and 0.61 (0.54-0.67) for factor II, VII, IX, and X activities, protein C activity, and free protein S reactivity, respectively. N-acetylcysteine did not affect factor VIII or vWf in subjects without adverse reactions, and nor did it affect factor V or antithrombin in any of the subjects. Therapeutic doses of N-acetylcysteine cause abnormal haemostatic activity, and this should be taken into account when using haemostatic function tests as an indicator of hepatic injury. N-Acetylcysteine has also been effective in improving the outcome of patients with acute liver failure not associated with acetaminophen. N-acetylcysteine has been proposed as a potential treatment for non–acetaminophen-related acute liver failure on the basis of studies demonstrating improvements in tissue oxygenation and systemic hemodynamics and the drug's antioxidant properties. The benefit of N-acetylcysteine appeared to be limited to the subgroup of patients with grade 1 or 2 encephalopathy at entry (52% vs. 31%, P = 0.021). In addition, a single-center retrospective study of 170 children with nonacetaminophen acute liver failure demonstrated that treatment with N-acetylcysteine was associated with a shorter length of hospital stay and a higher rate of spontaneous recovery. study, Liver Transpl 14 (2008) , pp. 25-30 however, the untreated controls were not contemporaneous and had more severe illness at presentation. In both studies, N-acetylcysteine was generally well tolerated, with a low rate of side effects (e.g., rash, bronchospasm, arrhythmia). Additional studies of N-acetylcysteine for non–acetaminophen-related acute liver failure are in progress to identify which patients may benefit from this treatment. Method: adaptively allocated, doubly masked, placebo-controlled trial, A total of 184 participants were enrolled in the trial with 92 in each arm. Study sample: pediatric age group. PAPER1: Squires RH, Dhawan A, Alonso E, ETAL Hepatology. 2012 Aug 10. Statement 2: NAC treatment of AOM mice led to reduced hepatic damage and improvement in neurological function, normalization of brain and hepatic glutathione levels as well as selective attenuation in expression of plasma proinflammatory cytokines. These findings demonstrate that the beneficial effects of NAC in experimental non-APAP-induced ALF involves both antioxidant and anti-inflammatory mechanisms. Method: Male C57BL/6 mice were treated with AOM (100 microg/g; i.p.) or saline and sacrificed at coma stage of encephalopathy in parallel with AOM mice administered NAC (1.2 g/kg; i.p.). Statement 3: The use of NAC causes reduction in NAI-ALF mortality and its use was safe. A total of 34 (37.36%) patients survived; 22 (47%) in group 1 (NAC group) and 12 (27%) in group 2 (controls) (P = 0.05). Method: 47 adult patients ,prospectively enrolled with NAI-ALF (group 1 or NAC group) and oral NAC given. compared these results with records of NAI-ALF patients admitted in our hospital from 2000 to 2003 (n = 44) who were not given NAC (group 2 or historical controls). Statement 4: Intravenous NAC improves transplant-free survival in patients with early stage non-acetaminophen-related acute liver failure. Patients with advanced coma grades do not benefit from NAC and typically require emergency liver transplantation. Method 4:173 patients, prospective, double-blind trial, acute liver failure patients without clinical or historical evidence of acetaminophen overdose were stratified by site and coma grade and assigned randomly to groups that were given NAC or placebo (dextrose) infusion for 72 hours. Statement 6: NAC was associated with a shorter length of hospital stay, higher incidence of native liver recovery without transplantation, and better survival after transplantation. Study group: 170 children presenting with nonacetaminophen-induced ALF between 1989 and 2004 ,retrospective. STATEMENT 7: N-acetylcysteine administration should be considered in all patients with acute liver failure. Method: pilot study, observation based. Statement 8 : MEDLINE (1966-March 2003), International Pharmaceutical Abstracts (1970-2003), and Cochrane Library (2003, issue 3) databases : All of the studies found were small and do not provide conclusive evidence that acetylcysteine benefits this subgroup of patients. Microvascular regional benefits were seen, but clinical outcomes have not been studied. Intravenous acetylcysteine should not be used routinely for treatment of non-acetaminophen-induced ALF. Further large-scale studies are needed to evaluate clinical outcomes. Statement 9: N-acetylcysteine infusion increases cerebral perfusion pressure in pigs with fulminant hepatic failure. Study: Crit Care Med. 2001 Oct;29(10):1989-95. The predictive model for early recognition of the risk of short-term development of hepatic encephalopathy (HE) or CLINICAL worsening in patients with symptomatic acute liver disease (ALD) unrelated to PCM poisoning has been well studied in literature. Earlier studies indicate that preservation of transplant-free survival of inpatients with non-PCM ALD is closely related to the ability to recognize early, often narrow window of opportunity.1-5 We can stream-line use of NAC in selected group of patients accordingly.King’s college criteria (KCH)were established 20 years ago to predict survival rate lower than 20% among British patients with established non-P ALF (i.e. with HE) 6.Study BY Y. Takikawa et al. 7in Japanese patients Strongly support the view that the items used in KCH criteria (excluding the duration of jaundice before the onset of HE) to predict the short-term development of HE or clinical worsening. Takikawa and coworkers, from Japan, report the results of a 13-year prospective study that aimed to predict HE for inpatients with non-P ALD hence can be used as baseline reference for further studies. HE was predicted with 100% sensitivity and 69% specificity, or 62% sensitivity and 93% specificity, when taking cut-off values of HE-developing probability >20% or >50%, respectively;The indications recommended by Jacques Bernuau, Franc_ois Durand 8 for referral of non-P ALD inpatients to a liver unit, ideally with LT (LIVER TRANSPLANT) facility with lesser degree of severity can be used as indications for use of NAC in non -pcm based liver failure with lower threshold at least till further RESULTS validated.Review of KCH (King’s college criteria), Takikawa eta al , Jacques Bernuau et al should guide us to direct poor prognostic patients with un-favourable etiologies of non -pcm based ALF for use of NAC. Poor Prognosis of such patients is known without liver Transplant. Liver transplant affordability is an important issue in our set up. Non- Liver Transplant based center may use following criteria for further studies to understand better use of NAC. Criteria for such use of NAC should be at lesser threshold than those for Liver Transplant for further studies. CHILDREN <10 year but > 2 years, modified after current PALF study :Squires RH, Dhawan A, Alonso E, ETAL Hepatology. 2012 Aug 10. Children with un-favourable etiologies: Drug induced liver disease,autoimmune liver disease, idiopathic cause,flare of hepatitis B , modified as per KCH & Takikawa etal studies. Children with un-common etiologies: Wilson, budd-chiari, reye’s, HSV. Post operative acute liver failure (non-hepatic surg in patients not given anti-vit K). Acute on chronic liver disease: decompensated. I have not included the PT ACTIVITY <30 % as these patients are better transferred or given option of Liver transplant. Above modified criteria is just a suggestion subject to initiate the discussion on the forum of IAP PED GASTRO AND LIVER GROUP. Ostapowicz G, Fontana RJ, Schiødt FV, Larson A, Davern TS, Han SHB, et al. Results of a prospective study of acute liver failure at tertiary care centers in the United States. Ann Intern Med 2002;137:947–954. Bhatia V, Singhai A, Panda SK, Acharya SK. A 20-year singlecenter experience with acute liver failure during pregnancy: is the prognosis really worse? Hepatology 2008;48:1577–1585. Escorsell A, Mas A, de la Mata M and the Spanish Group for the Study of Acute Liver Failure. Acute liver failure in Spain: analysis of 267 cases. Liver Transpl 2007;13:1389–1395. Lee WM, Hynan LS, Rossaro L, Fontana RJ, Starvitz RT,Larson AM, et al. Intravenous N-acetylcysteine improves transplant-free survival in early stage non-acetaminophen acute liver failure. Gastroenterology 2009;137:856–864. Elinav E, Ben-Dov I, Hai-Am E, Ackerman Z, Ofran Y. Thepredictive value of admission and follow-up factor V and VIIlevels in patients with acute hepatitis and coagulopathy. J Hepatol 2005;42:82–86. vol36, DIFFICULT CELIACS IN CENTRAL INDIA. MD, DNB, CC.PGCC,Fellow in Pediatric Gastroenterology & Liver Transplant. Consultant Pediatric Gastroenterologist & Endoscopist. CENTRAL INDIA CELIAC DISEASE REGISTRY. Dept of Pediatric Gastroenterology & Hepatology, CARE hospital, Nagpur. Celiac disease is gluten hypersensitivity with multisystem involvement. Though considered to be more prevalent in Northern India, still unfortunately follows the tip of iceberg phenomenon in diagnosis everywhere. In Central India which includes Maharashtra, Chattisgarh, Madhyapradesh exact incidence and prevalence is not known. In this volume 36 OF Pedgihep E-JOURNAL I take this opportunity to discuss difficult celiac pathophysiology and their implications on our clinical day to day practice. Non-compliant on gluten free diet patient not included in the discussion of refractory celiac. Initial wrong diagnosis of celiac diseases are excluded. Exact incidence of potential celiac changing to celiac disease is not known. Are potential celiac are subset of non-celiac gluten intolerance ? What should be the cut off of serum IgA TTG for diagnosing Potenial celiacs while serological monitoring to avoid unnecessary duodenal biopsy? Most of published evidence, label the patient as potential celiac who do not follow serological/biochemical/endoscopic criteria of published guidelines ESPGHAN on definition of celiac disease for diagnosis. Gluten indeed can trigger of gut symptoms and tiredness in persons with Potential celiac . How to interpret this situation in children is questionable and debateable. Are we over justified in recommending trial of gluten withdrawal in children with functional abdominal pain and irritable bowel syndrome needs to be further studied. a subepithelial localization (B), IgA ingreen (C) are present inside plasmacells; thin layers of anti-TG2 antibodymucosal deposits are visible in subepithelialareas. In panel A, yellow colorindicates colocalization of IgA anti-TG2 mucosal deposits and TG2. 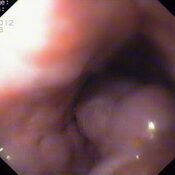 (D–F) Duodenal mucosa from a potentialCD patient negative for deposits ofIgA anti-TG2. IgA are visible, in green,only inside plasma cells and epithelialcells (F), TG2 in red presents a subepithelialdistribution (E). No area of colocalizationis evident (D). The natural history of gluten sensitivity is unknown. Whether this disorder is permanent or transient and whether it is linked to autoimmunity. By using above criteria I propose we can better investigate /approach celiac syndrome. Data from India in children is richly awaited to be tapped. IS Gluten sensitivity, potential celiac reversible? It would also give us clue is it muti-factorial or completely genetic based. What is the incidence of missed refractory celiac from India? Can we take help of immune-staining CD s early in diagnosis for better prognostication? Recurrent symptoms develop in biopsy-proven CD patients on a GFD. The most common cause of nonresponsive CD, which occurs in about 30% of CD patients, is non-adherence to a GFD. But still we do find patients with refractory celiac disease. By Common justified approach before labeling as refractory celiac disease primary or secondary pancreatic insufficiency, small intestinal bacterial overgrowth, collagenous sprue, or lymphocytic or collagenous colitis needs to be excluded. Similarly Gluten free diet need to be reinforced. Inspite of all the above measures if problem persist we need to reconsider the diagnosis of celiac disease. All through….. ultimately refractory celiac label should be considered. Schmitz et al9 defined a subpopulation of lineage-negative (Lin-) CD7CD127− CD34− lymphocytes as likely precursors of aberrant IELs in type 2 . They showed that their RCDII lymphocytic cell lines expressed far more NK-cell associated transcripts compared to mature TCR+ CD3 IELs and then defined a subpopulation of these lineage-negative (Lin-) CD7CD127− CD34− lymphocytes that highly expressed the interleukin (IL)-2/15Rβ chain (CD122)as likely precursors of aberrant IELs in type 2 .Interestingly Type 2 lineage 18-fold more frequent in the duodenum of non-coeliac compared to coeliac children, and less frequent in adults .Rich expression of NATURAL KILLER CELLS and Il15 /2 AXIS is underlying basis of type 2 celiac disease. BOTH COMBINED: POTENTIAL / REFRACTORY CELIAC? Should we try gluten free trial in patients of functional abdominal pain/CHILDHOOD IBS who are diagnosed as gluten sensitivity as discussed earlier in the criteria? Should we introduce immune-staining early to diagnose potential celiac? Can we propose understanding of refractory celiac for prognostication? At least we should have NATIONAL academic committee with histopathologist / immunocytochemist where we could send all the samples for analysis to understand celiac disease better in children. Verdu EF , Armstrong D , Murray JA . Between celiac disease and irritablebowel syndrome: the no man’s land of gluten sensitivity . Am J Gastroenterol2009 ; 104 : 1587– 94 . Schmitz F, Tjon JML, Lai Y, et al. Identification of a potential physiological precursor of aberrant cells in refractory coeliac disease type II. Gut Published Online First: 3 July 2012. doi:10.1136/gutjnl-2012-302265. VOL 35, 2012 ,EVIDENCE BASED MANAGEMENT OF UPPER GI ISSUES IN CHILDREN. COLLECTED AND EDITED : Dr.YOGESH WAIKAR. CLINICAL ISSUE 1: Is 1 week of treatment sufficient to eradicate Helicobacter pylori? One week of omeprazole, amoxicillin, and clarithromyin given twice daily is as effective at eradicating Helicobacter pylori (HP) as 2 weeks of treatment. It also costs less and is less burdensome for patients. . The HP eradication rate was similar for the 1- and 2-week groups (79.7% vs 81.7%); both OAC groups had a higher eradication rate than the omeprazole and amoxicillin alone group (44.6%). Adverse events and discontinuation of treatment were similar between the 1- and 2-week groups. EVIDENCE: adult based study extrapolated to children. Zagari RM, Bianchi-Porro G, Fiocca R, Gasbarrini G, Roda E, Bazzoli F. Comparison of 1 and 2 weeks of omeprazole, amoxicillin and clarithromycin treatment for Helicobacter pylori eradication: the HYPER study. Gut 2007;56:475-479. CLINICAL ISSUE 2: What is the optimum duration of treatment for Helicobacter pylori eradication? Seven days of treatment with triple therapy -- a proton pump inibitor (PPI) + clarithromycin (Biaxin) + amoxicillin ormetronidazole -- produces rates of eradication that are nearly as good as 10 days to 14 days of treatment, and are equally good if only high-quality research is considered. Researchers conducting this meta-analysis searched 3 databases to find research comparing different durations of triple therapy for H. pylori eradication. They also searched conference proceedings, but limited all of their choices to articles in English. Two researchers independently abstracted the data and assessed study quality via the commonly used Jadad criteria. Their search yielded 21 studies comparing 7, 10, and 14 days of treatment using regimens of a PPI with clarithromycin andamoxicillin or a PPI with clarithromycin and metronidazole. The difference in outcome between durations of therapy were present in studies usingamoxicillin but not in studies using metronidazole. The outcomes were not different based on duration of therapy when only the high-quality studies were analyzed. Fuccio L, Minardi ME, Zagari RM, Grilli D, Magrini N, Bazzoli F. Meta-analysis: Duration of first-line proton-pump inhibitor-based triple therapy for Helicobacter pylori eradication. Ann Intern Med 2007;147(8):553-562. CLINICAL ISSUE 3: Is a response to a proton pump inhibitor a useful diagnostic strategy to determine gastroesophageal reflux? A 2-week trial to determine the response to a proton pump inhibitor (PPI) will not identify a significant proportion of patients who have true GERD. If a patient has typical reflux symptoms, begin treatment, since an early lack of response does not rule out true GERD. The sensitivity of the PPI test was 91% (95% CI, 78%-96%) and the specificity was 26% (10%-49%). In this high prevalence population, the positive predictive value was 75% (62%-85%) and the negative predictive value was 54% (22%-81%). Using these results, the likelihood ratio for the PPI test was 1.2, similar to the likelihood ratio for the presence of typical symptoms. Aanen MC, Weusten BL, Numans ME, De Wit NJ, Baron A, Smout AJ. Diagnostic value of the proton pump inhibitor test for gastro-oesophageal reflux disease in primary care. Aliment Pharmacol Ther 2006;24:1377-1384. CLINICAL ISSUE 4: Is there any difference between proton pump inhibitors for the treatment of gastroesophageal reflux disease? There is no significant difference between equivalent doses of proton pump inhibitors, including equivalent doses of esomeprazole and omeprazole The decision to choose one over another should be based first on cost and second on individual patient response. This meta-analysis identified all double-blinded randomized controlled trials comparing one proton pump inhibitor with another for the treatment of gastroesphageal reflux disease (GERD), using endoscopic healing as the reference standard for treatment success. A total of 19 studies with more than 9000 patients were identified, most lasting 4 weeks. No difference in effectiveness was seen. Klok RM, Postma MJ, Van Hout BA, Brouwers JR. Meta-analysis: comparing the efficacy of proton pump inhibitors in short-term use. Aliment Pharmacol Ther 2003;17:1237-45. KASAI, REVIEW OF RECENT STUDIES. SAMPLE : January 1, 1977, and December 31, 1988, 106 patients,Confirmed BA: by IOC,H/P. Thirteen patients had a type I or II BA; 9 patients underwent a hepaticojejunostomy or a choledochojejunostomy. In 4 patients, a portoenterostomy was performed. Eighty-three patients were classified as type III BA and underwent the classic Kasai portoenterostomy. 1. The 20-year survival rate was not significantly associated with the age at surgical correction. 2. more than 25% of BA patients in The Netherlands survive at least 20 years with their native liver. 3. Interestingly, one fifth of the 20-year transplant free survivors had no signs of cirrhosis and a normal liver biochemically. 4. The 20-year transplant-free survival rates in the 1977 to 1982 cohort presented in this report were similar to those reported from France in the same period (20% vs 23%, respectively). In the 1983 to 1988 cohort the transplant-free survival rate increased to 32%. However, survival remained lower than that reported from Japan (58%). 6. Survival rates tend to be higher in patients with type I or II BA (42% in types I/II; 25% in type III). These figures are comparable with those from a large French cohort, but inferior to numbers from Japan, which reported a 100% 20-year transplant- free survival rate in 7 patients. 7. Signs of severe cholestasis and fibrosis in the per-operative liver biopsy specimen are not necessarily indicative of a poor prognosis. 8. The presence of BASM does not exclude a favorable outcome. SAMPLE: 32 patients with KPE performed for biliary atresia. Between 1990 and 2000. 26.3% have cholangitis in 19 survivors over 10 years. One-third of long-term survivals remain alive without any problem. In those who were operated on before 90 days of age (28%) than later (12%) SURVIVAL BETTER. Of 51 patients alive IN 2005 with native liver, 96% developed cirrhosis. SAMPLE size: One hundred sixty-four patients (11.9%) had type I atresia of the common bile duct, 34 (2.5%) had type II atresia of the hepatic ducts, and 1,162 (84.1%) had type III atresia at The porta hepatis. 2. over-all 5-year survival rate changed from 69.4% to 78.3%, the difference was not statistically signiﬁcant. 4. only 19 patients lost to follow-up among the 743 patients registered from 1989 to 1994. 5. The incidence of cholangitis in complex modifications such as the Roux-en with an intestinal valve and the Suruga II was not lower than that in the original Rouxen- Y procedure. 2. the results of the Kasai operation are still variable across different centers. 3. The paradigm of early surgery may not apply to all patients experiencing isolated BA. 4. There was no difference histologically between patients who had surgery before 60 days and those between 61 and 80 days, with little or no progression to cirrhosis until at least beyond 100 days of life. This would suggest that although there were higher levels of bilirubin in patients who had the Kasai operation for 60 days of life, the overall effects on the liver were not as significant as once thought. Furthermore, because the age of onset of isolated BA is variable, and the success of the surgery determined mainly by the degree of damage of biliary ductules and the degree of fibrosis, it would not be logical to use the age at operation alone to predict the outcome. 5. optimal age for performing the Kasai operation should be between 61 and 80 days: well developed surgical portal path. STUDY 6: Chirurg. 2009 Jul;80(7):628-33. 20% survive in the long term with their native livers. Normal levels of bilirubin 3, 6, and 12 months after Kasai and of aspartate aminotransferase with gammaGT after 6 months are associated with survival with native liver. STUDY 7 : J Pediatr Gastroenterol Nutr. 2009 Apr;48(4):443-50.Long-term outcome of children with biliary atresia who were not transplanted after the Kasai operation: >20-year experience at a children's hospital. Sample:Group of 80 patients who had undergone theKasai operation between 1970 and 1986 . 5-, 10-, and 20-year survival rates of patients with their native livers were 63%, 54%, and 44%, respectively. STUDY 8 : British paediatric surveillance unit study of biliary atresia: outcome at 13 years.J Pediatr Gastroenterol Nutr. 2009 Jan;48(1):78-81. SAMPLE: 93 cases of biliary atresia in the United Kingdom and Ireland diagnosed between March 1993 and February 1995 were followed up prospectively. 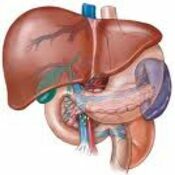 When the portoenterostomy was successful, 40 of 50 patients (80%) are alive without liver transplantation. 45% underwent liver transplantation at a median age of 1 year (range 0.5-9), with 90% survival. STUDY 9 : Long-term prognosis of patients with biliary atresia: a 25 year summary J Pediatr Gastroenterol Nutr. 2006 Feb;42(2):190-5. STUDY 10: A long-term experience with biliary atresia. Reassessment of prognostic factors. Ann Surg. 1991 Nov;214(5):590-8. RESULTS: 1.Survival was not influenced by earlier age at operation, size of ductal remnants, or the use of an external biliary vent. 2. Good bile flow was predictive of a favorable outcome. STUDY 11: Perioperative factors affecting the outcome following repair of biliary atresia Pediatrics. 1989 May;83(5):723-6. CHolangitis developed in three of the five (60%) with a Roux-en-Y limb length less than 40 cm and in two of the 19 (10.5%) with limb lengths greater than 40 cm (P less than .02). Battery ingestion in children is an emerging hazard. With the use of button batteries in toys and easy accessibility to these batteries, the incidence of accidental ingestions is increasing. Negative battery pole , identifiable as narrow side on lateral radiograph, causes more severe injury. Index of suspicion should be high. Physicians missed the diagnosis of battery lodged in the esophagus in one third of major outcomes because of non specific presentations like unwitnessed ingestions.Definitive battery passage in reported in only 40%. Position of the battery should be checked using radiography.Avoid cathartics and vomiting as both are ineffective. Assays of blood or urine for mercury or other battery ingredients are not required In jury free removal is possible within 2 hours of ingestion. This is much shorter time period compared to previous reports as lithium batteries have higher capacitance and voltage. Hemorrhage occurs within 12-14 hours of ingestion and may be fatal.Specific complications like tracheoesophageal fistula and aortoesophageal fistula occur between 9-18 days of ingestion , depending upon the location of negative pole.Length of observation, duration of esophageal rest, need for serial imaging and endoscopy/bronchoscopy is determined based on location and severity of injury.Complications – esophageal perforation, trachepesophageal fistula, mediastinitis, vocal cord paralysis, tracheal stenosis, aspiration pneumonia, empyema, abscess, pneumothorax, spondylodiscitis, perforation into large vessels. To conclude, all doctors need to be aware of the hazards of lithium battery ingestion. We need to educate parents regarding the potential hazards of these batteries. Moreover, we need to have data on the incidence and complications in our setting. This would help us to formulate better management strategies and reduce morbidity. PEDIATRIC HEPATOCYTE TRANSPLANT,vol29 ,2012.Pedgihep e-journal. Less invasive procedure /Organs short supply. Bridge to and post LT.
(MELD)/PELD score improved from 15 to 10 within the first 18 months. Through portal vein: Gold std. middle colic vein via the inferior mesenteric vein. pulmonary embolism are dose dependent. proliferation of the engrafted cells. upregulation of specific enzyme activities. Different presentation : different requirement. avg adult liver : 2.8 * 10 11 hepatocytes. <1% of liver mass @ 1 infusion. amount of cells infused was 5% of normal liver mass. 30% of the transplanted hepatocytes engraft. 5% hepatocytes -à 1.5% of permanently engrafting. Crigler-Najjar syndrome type I: 5% of enzyme activity , 0.2* 10 9 cells/kg,10 yr, girl. 0.2* 10 9 cells/kg. is required. mean cell concentration of 0.8 × 106 cells/ml. M(volume) of 5.5 ml/kg for the individual app. rates of 1 ml/min for <10 kgs. 2 ml/kg for10-20 kg . engraftment Time transplanted hepatocytes: 16-20 hrs. LDH normalizes within 12 h and AST after 24 h., ALT ABN…..SLOWLY COME DOWN. Post transplant immuno-supp is required. 2.J Intern Med 2009; 266: 339–357. 9. Liver Transpl 2000; 6: 32–40. 12. Transplant Proc 2008; 40: 936–7. 15.Transpl Immunol 2004; 12: 273–88. unexplained iron-deficiency anaemia, or other unspecified anaemia. type 1 diabetesor first-degree relatives (parents, siblings or children) with coeliac disease. WHAT DIETARY CONDITION BEFORE ORDERING TEST? 1.1.4 Do not use serological testing for coeliac disease in infants before gluten has been introduced to the diet. to follow a gluten-containing diet during the diagnostic process (serological tests and biopsy if required). 1.1.6 Inform people that they should not start a gluten-free diet until diagnosis is confirmed by intestinal biopsy, even if a self-test or other serological test is positive. 1.1.7 Inform people that when they are following a normal diet (containing gluten) they should eat some gluten (for example, bread, chapattis, pasta, biscuits, or cakes) in more than one meal every day for a minimum of 6 weeks before testing; however, it is not possible to say exactly how much gluten they should eat. inform them that it may be difficult to confirm a diagnosis of coeliac disease on intestinal biopsy, and that this may have implications for the prescribing of gluten-free foods. 1.1.9 Inform people who are considering, or have undertaken, self-testing for coeliac disease (and their parents or carers) that any result from self-testing needs to be discussed with a healthcare professional and confirmed by laboratory-based tests. the implications of a negative test (that coeliac disease is unlikely but it could be present or could arise in the future). growth failure, delayed puberty and dental problems (in children). Do not use immunoglobulin G (IgG) or immunoglobulin A (IgA) anti-gliadin antibody (AGA) tests in the diagnosis of coeliac disease. communicate the results clearly in terms of values, interpretation and recommended action. Do not use human leukocyte antigen (HLA) DQ2/DQ8 testing in the initial diagnosis of coeliac disease. 1.1.17 Offer referral to a gastrointestinal specialist for intestinal biopsy to confirm or exclude coeliac disease to people with positive serological results from any tTGA or EMA test. 1.1.18 If serology tests are negative but coeliac disease is still clinically suspected, offer referral to a gastrointestinal specialist for further assessment. 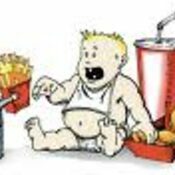 FOOD HABBITS & OBESITY IN CHILDREN : ESPGHAN GUIDELINES. development of overweight and obesity. the association with some of the reported dietary factors. account energy expenditure and growth. simple sugars, should be promoted. and dairy product intake can be made. executed by a health care professional. source of fluids for children. day. Regular family meals should be encouraged. 12. Healthy food options should be promoted for snacking. 13. Food portion sizes should be appropriate for age and body size. general paediatricians and other health professionals. .N ACETYL CYSTEINE improvement is primarily noted among patients with early(grades I–II) hepatic encephalopathy. No benefit was seen among patients with moreadvanced encephalopathy. These findings of the many studies suggested that, for NAC to be effective, it should be initiated early in the disease course. In addition, many patientswith ALF of indeterminate etiology may have underlying acetaminophen toxicitywhich further supports the use of NAC in all cases. NAC can modify the clinical course to a favorable one and prevent the fatal outcome of hepatic encephalopathyThe outcome of ALF varies by etiology, favorable prognoses being found with acetaminophen overdose, hepatitis A, and ischemia (approximately 60% spontaneous survival), and poor prognoses with drug-induced ALF, hepatitis B, and indeterminate cases (approximately 25% spontaneous survival)8Patients transplanted for CLD had higher patient survival rates than patients with FHF in a study by Arnon R et al.9 In a study by Sze YK et al For noncirrhotic metabolic disorders, auxiliary transplantation has similar patient and graft survival compared with orthotopic transplantation.10 The 3- month mortality of ACLF group was significantly higher than non-ACLF group. PELD score of > 25.5 predicted death with a sensitivity of 100% and specificity of 83.3%.11Multivariate analysis by Lal J et al revealed that the SOFA ,sequential organ failure assessment and the International Normalized Ratio (INR) were predictors of survival.12Wilson's score has better predictor of need for LTx in patients than classical King's-College criteria. Presence of encephalopathy and a serum phosphorus level ≥2.9 mg/dl appear to indicate a poor prognosis in children with fulminant hepatic failure. Hypophosphatemia has been reported as a laboratory indicator of recovering liver function in children with fulminant hepatic failure .14Increased SERUM alpha-NH(2)-butyric-acid (Aab) and Aab:leucine (Aab:Leu) ratio in patients who survived without transplantation compared to those who were transplanted or died EMPHASISES THE ROLE OF Serum alpha-NH-butyric acid TO predict spontaneous survival in pediatric acute liver failure. Pretransplant growth retardation is associated with increased post-OLT hospital length-of-stay and increased hospitalization costs.Patients with sepsis had longer hospital stays and prolonged ventilation. Invasive fungal infections were rare in pediatric ALF with adequate doses of antifungal prophylaxis. 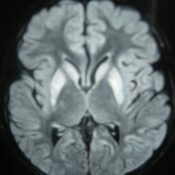 The predominant infections included bacteremia ,lower respiratory tract infection and urinary tract infection.The United States Acute Liver Failure Study Group endorses the use of ICP monitors in patients with a high risk of ICH, including nontransplant candidates who have increased likelihood of spontaneous survival.During assessment of cerebral autoregulation, it is assumed that cerebral metabolic rate of oxygen remains constant so that the arteriojugular oxygen content difference solely reflects CBF. In reality, the cerebral metabolic rate of oxygen may vary, and that limits the utility of the jugular bulb in the assessment of CBF autoregulation. Jugular bulb placement may also be used to measure brain cytokine production indicative of an inflammatory response that correlates with the severity of ICP. In another PALF STUDY27 acute acetaminophen toxicity (14%), metabolic disease (10%), autoimmune liver disease (6%), non-acetaminophen drug-related hepatotoxicity (5%), infections (6%), other diagnosed conditions (10%); 49% were indeterminate are main causes of acute liver failure. Outcome varied between patient sub-groups; 20% with non-acetaminophen ALF died or underwent liver transplantation and never had clinical encephalopathy. Clinical encephalopathy may not be present in children. The high percentage of indeterminate cases provides an opportunity for investigation. Pretransplant bilirubin and INR were not significant predictors of posttransplant survival after controlling for the other significant factors. Living donor and split / reduced grafts did not have a significantly increased risk of posttransplant death compared to whole grafts. In conclusion, despite advances in the surgical techniques and changes in organ allocation, pediatric patients with FHF continue to have a high pretransplant mortality and less successful posttransplant survival compared to children with chronic liver disease.30 New hopes for the future include extracorporeal liver support devices (the molecular adsorbent recirculating system [MARS®] and Prometheus®), hepatocyte transplantation, liver-directed gene therapy, genetically engineered enzymes, and therapeutic modalities targeting fibrogenesis. Hepapoietin, a naturally occurring cytokine that promotes hepatocyte growth, is under extensive research.In a study by Schaefer B superior efficacy of combined PE plasma exchange /HD haemodialysis as compared to intermittent MARS therapy for treating ALF in children .31 Continuous renal replacement therapy could potentially help support patients until liver transplantation is performed or liver regeneration occurs. Despite recent advances and promising results in children, liver cell transplantation (LCT) should still be regarded as an experimental therapy. Short version : Review & Analysis of outcome in liver failure .